For the non-invasive application of hemostatic solutions. Cannula is curved for optimal visibility. 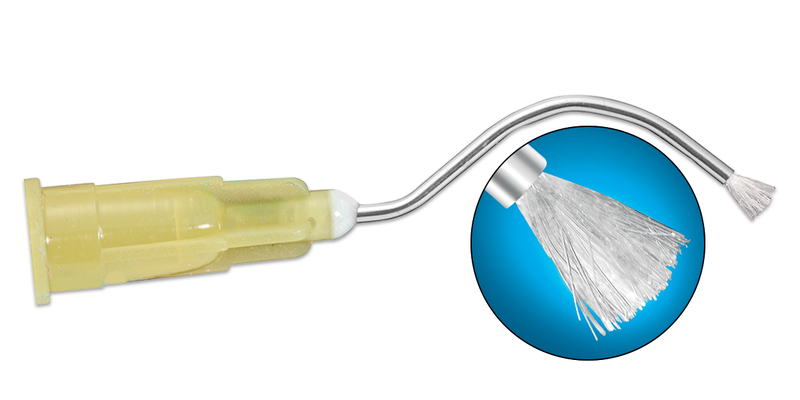 Soft padded brush end for quick, efficient medicament application. Luer-Lock style hub. 19 gauge (yellow).